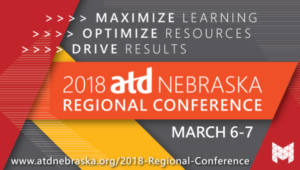 One of the things I love about eLearning Guild events is that there’s always fun and unique programming options. 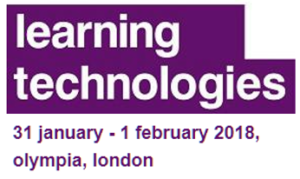 This year’s Learning Solutions Conference is no different. One of the interesting events taking place this year is GameCrawl, being held Wednesday evening. I had an opportunity to chat with the designers of this year’s GameCrawl, Stevie Rocco and Kris Rockwell, and learned a great deal about what is sure to be a fun-filled evening. David: Hi Stevie & Kris. Thanks for taking the time to chat with me. So let’s start with a basic question: What exactly is the GameCrawl? Stevie: GameCrawl is a way for people to experience games in a different way, and to start folks thinking about how game mechanics might be used in learning. The types of games we’re bringing are not your typical “Monopoly” style games, and have some fascinating elements to them. This is a chance for people to continue their conversations from the Expo Reception, and to think about games and game mechanics in a new way. Kris: The concept of gamification (which, to be very clear here is not a game in any way, shape or form but rather is the use of game mechanics within content to promote engagement) and games within learning is clearly becoming more acceptable and desirable. One of the issues that comes with this, however, is the perception that building a game or adding gamification is easy. The GameCrawl offers people a chance to play a variety of games that introduce different game mechanics which people can leverage in their own development process. It also let’s people start to consider the amount of thought and design that goes into building a game. In my mind one of the best way to build a good game is to play a lot of them to better understand mechanics and gaming in general. The GameCrawl provides that opportunity. Also, beer. We did this last year at Learning Solutions and continued the trend at DevLearn. The idea was first put together by Stevie, Dr. Alicia Sanchez and myself as a way to get people playing more games. At DevLearn we did it concurrently with DemoFest. I don’t think the DevLearn experience was as good because, aside from the fact that I was also participating in DemoFest at the same time, having the event slightly outside of the conference space allows people to participate in a more casual manner. We also prefer to do things in a bar. Stevie: Agreed. About the bar. So where and when is it taking place? Do people need to register in advance? Stevie: It’s taking place in the Hilton bar area from 6:30 – 8:00 pm, so right after the Expo Reception. There’s no need to register in advance–just come and join the fun! Is there anything people need to bring, or anything they should do to prepare for GameCrawl? Kris: We’re going to have a wide range of games that people will be able to play ranging from “Eurogames” such as Settlers of Catan to “Ameritrash” games like Ticket to Ride and a number of quick-to-play card games as well. The idea is to get people experiencing different game types ranging from co-op play to competitive. We want people to experiment with game play so they can see what is out there. It also gives people the chance to engage and connect which is really what board games are about. Well, that and destroying your opponent. Stevie: There’s nothing you need to do to prepare. Kris and I are bringing the games that will fit in our suitcases, so if we have a lot of folks, we are prepared to play some larger party-style games such as Werewolf. If someone has a game they’d like to play, they should feel free to bring it as well. The idea is to informally play some games and learn something in the process. Tell me about some of the games that I might play at GameCrawl. Kris: We’re trying to bring a range of different types of games. What we want to get across is that there are so many different mechanics and play styles that can be leveraged and used in the development of both game and gamification learning applications. For example, consider a game like Pandemic. Pandemic is a cooperative game that pits players against viruses that are spreading throughout the globe. The players have to work together to defeat the viruses before the entire world, well, dies. It turns into a great experience when players start working together to solve the problem. 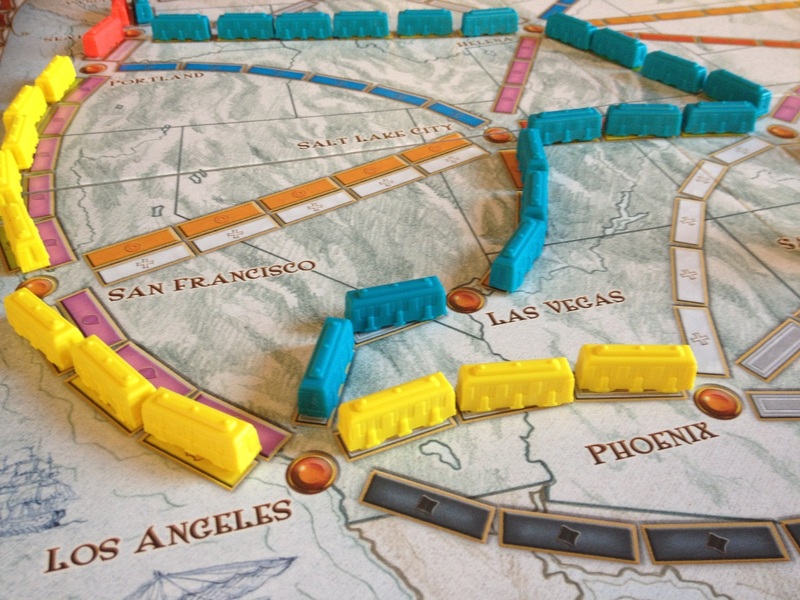 Stevie: One of my favorite accessible games for the event is Ticket to Ride. It’s quick to play, easy to learn, and gives a good sense of a different type of gameplay than most are used to. The goal is to connect cities in the game by laying railroad track, but on each turn you only have three choices: to draw city cards (these show you what cities you need to connect with a railroad), to draw train cards (these allow you to build track), or to lay track. Each turn, you need to choose, which adds an element of nuance to the gameplay. 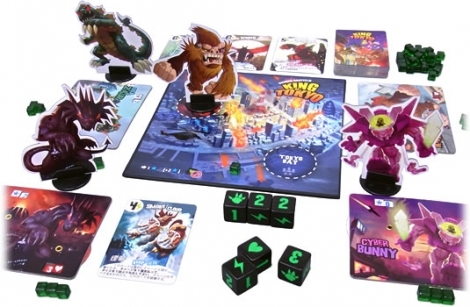 Kris: Another game I love is King of Tokyo. In this case player each play the role of a giant monster attacking each other to take control of Tokyo. What makes this interesting is that there are multiple ways to approach winning the game rather than a straightforward answer. This leads to a bit of critical strategic thinking when you are trying to win. It’s also fun to have giant monsters fighting each other. 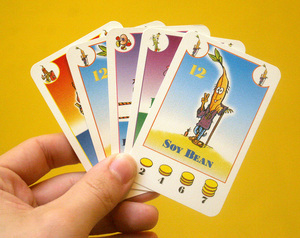 Stevie: I’ll also be bringing Bohnanza, where you play the part of a bean farmer who needs to plant beans in order to earn gold. Your goal is to be the richest farmer around! If we have enough people, we may also play Werewolf, where you are either a villager, a werewolf, or the seer. The object is to, as a group, figure out who the werewolf is before he/she kills all the villagers! Kris: Basically there will be a range of games that are worth exploring to understand how they work. The more games you play, the more you will understand how the mechanics and formats could fit into programs you are developing. That said, if anyone wants to bring their own games, please do! If you bring them, we’ll play them. Currently our list includes The Resistance, King of Tokyo, Fluxx, Bohnanza, The Great Dalmuti, Ticket to Ride, and Werewolf. It sounds like a lot fun, and a great way to learn about how games can impact learning. Thanks for taking the time to chat today. 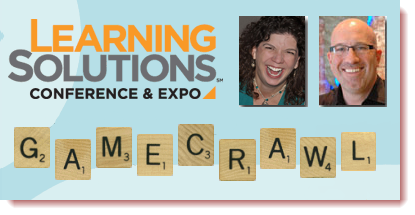 GameCrawl is definitely going to be an event Learning Solutions attendees won’t want to miss!